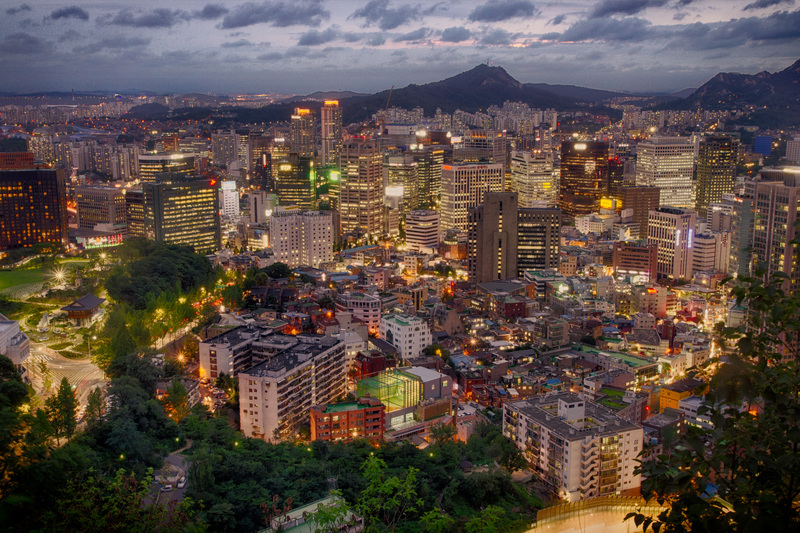 Seoul is a fascinating city, that represents perfectly the city life I love so much. The photograph was taken from the Nansam Park in Seoul. It is not taken from the most popular point of view. But I prefer this direction, because of the wonderful interplay of all colors, the natural and artificial light, and the old and new architecture.